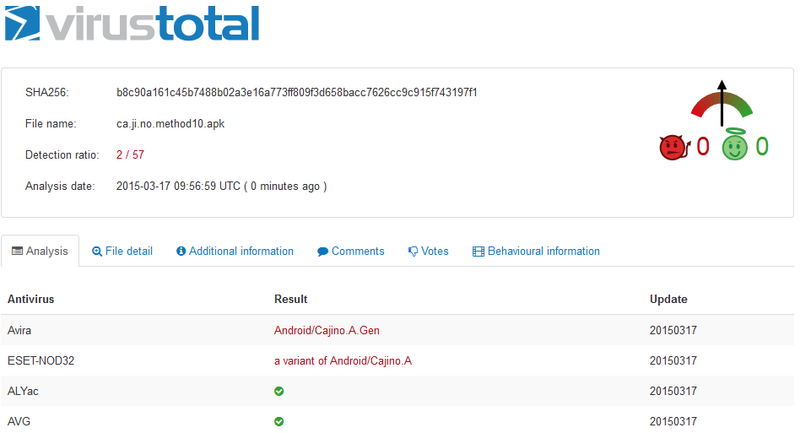 Thanks to Tacyt (although we did not found these samples on time...) we now know that some different samples with the same behavior were available in Google Play from, at least, November 2014. Some samples, under a certain developer, were signed during November 2014, and were available in Google Play since December. The apps were available in the main market until late January, when Google removed them. It seems that some others were available from September until late January as well, under some other fake account. These apps are still in lots of other markets.The developer seems to be from South Korea.